Morris is a neuroscientist — someone who studies the brain. She works at the University of New South Wales in Sydney, Australia. And yes, she is throwing a party. But her guests aren’t people. This fast-food feast is destined for her lab rats. After a few weeks of all the junk food they can eat, Morris and her colleagues run the rodents through a series of tasks, testing the limits of their learning and memory. By letting rats chow down on these foods, Morris is trying to find out how a junk-food diet (popular among people, too) impacts behaviors. She studies what’s called the gut-brain axis. It refers to the ongoing conversation taking place between the brain and gut. Because of this chatter, our innards — and the microbes living in them — can affect how we think and behave. Our brain, in turn, can talk back to our stomach and intestines and their bacterial inhabitants. By studying how residents of our gut influence our brain, Morris and other scientists seek to find out just how much you are what you eat. Their results may one day enable us to change our feelings and behaviors — all with the right mix of foods and microbes. 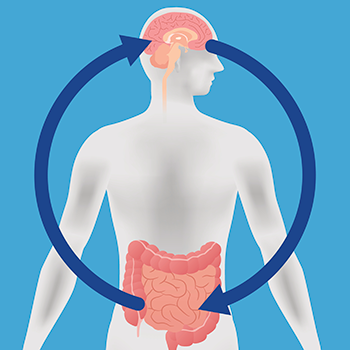 It’s no surprise that our brain sends signals to our gut to control digestion and other tasks. The brain sends its orders via the vagus (VAY-gus) nerve. This long structure wanders from the very base of the brain down to the gut. Along the way, it touches many other organs. The brain makes hormones — chemical signals that it drips into the bloodstream. These, too, flow to the gut. Both the vagus nerve and hormones can signal hunger and fullness. They can control, too, how quickly food moves through us. But the gut doesn’t just listen. It also talks back. 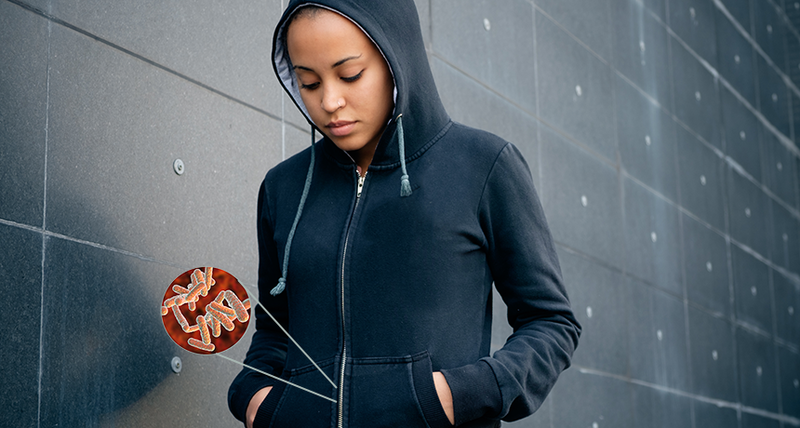 Microbes inside our stomach and intestines help break down food. Those microbes poop out waste products that can themselves serve as chemical messengers. These waste molecules can trigger a cascade of signals throughout the rest of the body. Some microbial cross-talk prompts stomach-lining cells to send chemical text-messages to the immune system. This can protect us from infection. Some microbes shoot molecular signals back up the vagus nerve. Others pump messages — hormones — into the bloodstream, from which they’ll travel to the brain. Those hormones can affect everything from memory skills to mood. Scientists didn’t always know about the gut’s back chatter to the brain. Its role began to emerge when they started digging into the microbes in, well, poop. Lyte was interested in microbes in the gut that might cause infection. But he soon realized that some gut bacteria were sending messages. Those signals consisted of chemicals that looked very familiar. These germs were producing some of the same molecules used when one brain cell communicates with another — a process known as neurotransmission. Exactly what the messages say depends on who’s sending them. A gut filled with fruits and vegetables will house a different set of microbes than one used to a diet of chips, soda and other junk foods. And the messages sent by those different sets of gut microbes may affect our brains differently. This is where Morris’ rat parties come in. After two weeks on a junk-food diet replete with cakes and fries, her lab rats take a memory test. Each rodent investigates a space filled with objects. Then, after the rat leaves, Morris and her colleagues move some of the objects around. The next day, they put the rat back into the space. If it notices a change in the furnishings, it will spend more time sniffing around the objects that had moved. Tests like this one rely on an area of the brain called the hippocampus (there are two in each brain). These regions are very important for learning and memory. But after a few weeks of downing junk food, a rat’s hippocampi no longer work so well. The animals don’t seem to recognize which objects have been moved as well as do rats that noshed on healthy foods. Could this be because of their gut bugs? 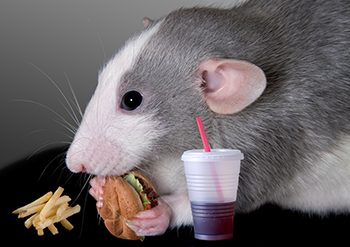 Rats that dine on fast food have a less diverse group of microbes in their guts, Morris and her group find. But their gut diversity returned when the scientists gave the junk-food-eating animals a high dose of a probiotic — a mix of beneficial gut bacteria. Their memory also improved. Morris and her colleagues published their findings in the March 2017 Molecular Psychiatry.